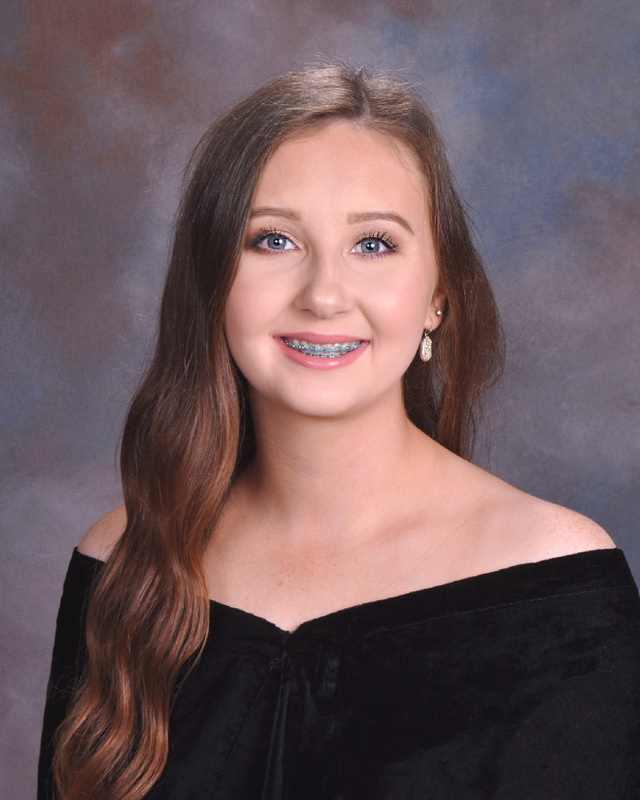 The valedictorian for the Webbers Falls Class of 2019 is Miss Madison Carter. Madison is the daughter of Brad and Mandy Carter and Claudia Fonseca. She is the granddaughter of Ralph and Patricia Carter. Madison’s high school career has been filled with accomplishments and accolades in both academics and extracurricular activities. Academically, Madison has amassed a 3.94 cumulative GPA. Her academic achievements include Superintendent’s Honor Roll for three years, Principal’s Honor Roll for one year, and National Honor Society for two years, where she currently serves as chapter vice-president. Madison is a three-time recipient of a Webbers Falls Outstanding Student Award for academic excellence in the classroom. She has received these awards in English I, English II, and Biology. While Madison’s academic achievements are commendable, her accomplishments outside of the classroom are equally impressive. Madison is a four-year member of the Lady Warriors basketball team, where she has been named All-Conference for two years. She also represents her team as a speaking captain. Madison has been involved in fast-pitch and slow-pitch softball for four years and was selected All-Conference the last two years in both. Madison has been actively involved in the Webbers Falls FFA for three years. This year she serves as chapter vice-president. Madison is a three year member of the Webbers Falls Student Council and was elected by her peers to serve as president her senior year. Madison’s future plans include attending Connors State College and Northeastern State University where she will pursue a career as a dental hygienist. 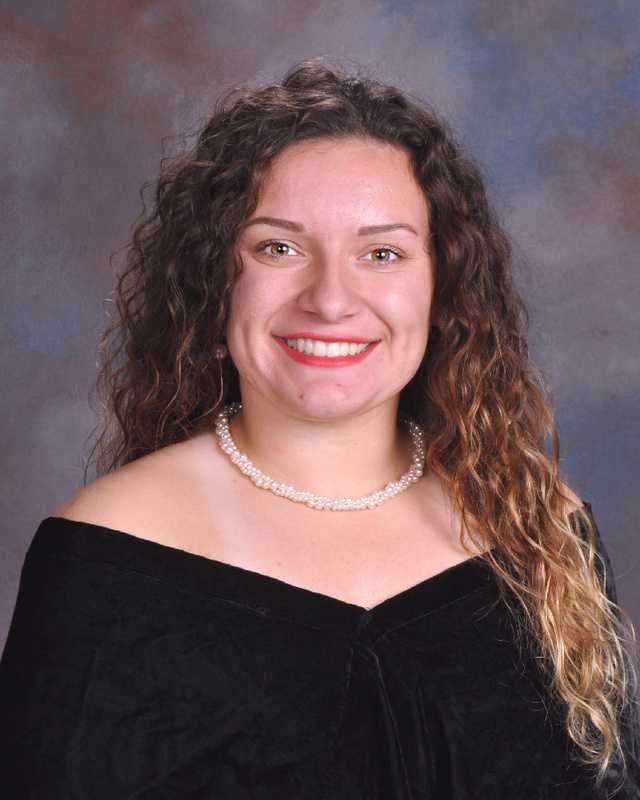 Miss Haley Cato is salutatorian for the Class of 2019. Haley is the daughter of Micah and Amber Cato. She is the granddaughter of James and Brenda Cato and Jimmy and Debbie Mullins. She is the great granddaughter of Thelma Cato. Haley boasts an impressive 3.9 GPA. She has been named to the Superintendent’s Honor Roll one year and Principal’s Honor Roll three years. She has received Outstanding Student Awards for academic achievement in Physical Science, English III, and Algebra I. She is also a two-year member of the National Honor Society. Haley is actively involved in numerous extracurricular activities, where she has also excelled. She has served as an officer for our local FFA chapter for four years. She is a four-year member of the Webbers Falls Student Council and has been elected to an officer position all four years. Haley is a standout athlete and has received honors in multiple sports. She is a four-year member of the Lady Warriors basketball team and received All-Conference recognition her junior year. She has also represented her team as co-captain for the last two years. Haley has been a member of the Lady Warriors fast-pitch and slow-pitch softball teams for four years and was named All-Conference her sophomore and junior years. Haley’s future plans are to attend Connors State College after high school. She is undecided about a major at this time.